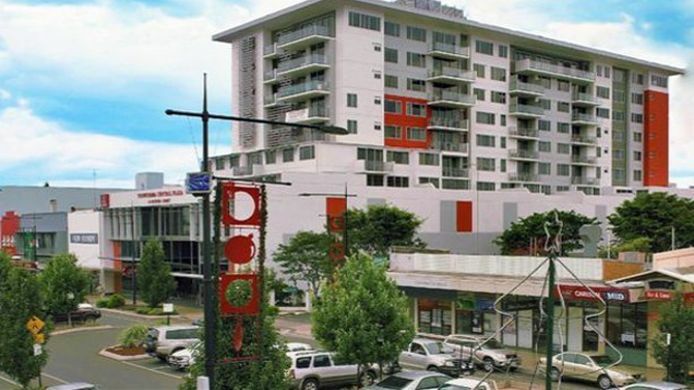 -Property description-, when looking for quality accommodation in, toowoomba earmark toowoomba central plaza, apartment hotel as your first choice. Opened in, december 2007 toowoomba central plaza is a modern, 4.5 star luxuriously appointed boutique, apartment-style hotel located right in the heart, of toowoomba cbd opposite town hall and convenient, to all amenities., ., Boasting an exceptional design breathtaking views, spacious rooms and superb hotel facilities at your, finger tips including olive branch restaurant ella, bache day spa conference centre and mezzanine pool, deck sample first hand why toowoomba central plaza, is the winner of best accommodation 2008 award and, 2010 finalist award in the regional annual, excellence awards., ., Toowoomba central plaza offers, spacious studio 12 and 3 bedroom luxury apartment, hotel suites, broadband, lap pool relaxation spa and bbq, large entertainer balconies, conference function and board rooms facilities, secure undercover parking, toowoomba cbd location, award winning accommodation, credt card facilities. Amex and diners attract a 3, % surcharge., ., Office hours, monday - 7.30am - 9pm, tuesday wednesday thursday friday - 7am - 9pm, saturday - 8am - 9pm, sunday - 8.30am - 6.30pm, .